Communist China’s successful colonization of Egypt and Africa is of special interest to me. I served in Establishment No. 22, Special Frontier Force to defend Freedom, Democracy, and Peace in Occupied Tibet. During 1971-72, I served under the Command of Lieutenant Colonel B K Narayan who returned from Egypt after serving as Military Attaché in Indian Embassy in Cairo. For he was an Islamic Scholar who mastered Arabic Language as well as Quran, President Nasser, and President Sadat befriended him to seek his interpretation of Quran in the conduct of Egypt’s foreign policy. He performed Hajj pilgrimage while he served in Cairo. 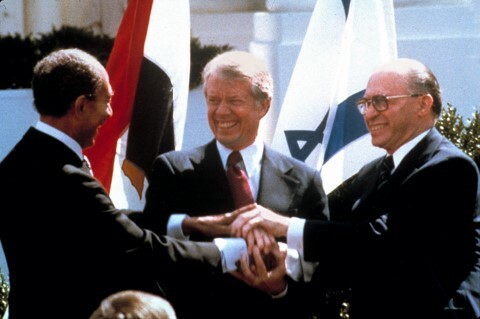 In 1971, long before conclusion of Israel-Egypt Peace Treaty of March 26, 1979, Colonel Narayan predicted Peace between Egypt and Israel as that Peace Plan is consistent with preaching of Holy Quran. The Chinese community in Egypt has grown to over 10,000 people, thanks to a burgeoning commercial relationship between the two countries. Increasing numbers of Chinese have come to study, work and open businesses in the Arab world’s most populous country, where many have developed an affinity for its life, culture and its people. For over a quarter century, China and Egypt have steadily been learning how to make money together – through a range of economic and infrastructure projects. Egypt has awarded several contracts to Chinese companies for the construction of a $20bn administrative and residential city that will be physically linked to Cairo. And China is the lead investor in the construction of a planned multibillion-dollar industrial zone around the Suez Canal. I love Egypt and I consider it my second home. Egyptians are generally kind and I’ve experienced a lot to confirm this … They also have a sense of humor. They’re always joking even if they’re suffering from life’s hardships … That’s why they’re happy. Each new collaboration is an opportunity for the Chinese diaspora to grow their businesses. South of Cairo, the Shaqel Thoben area is one of the world’s major production centers for marble and granite. “The equipment and machines used here are from China,” says Zhaou Ping, a marble and granite factory worker who has been in Egypt for three years. 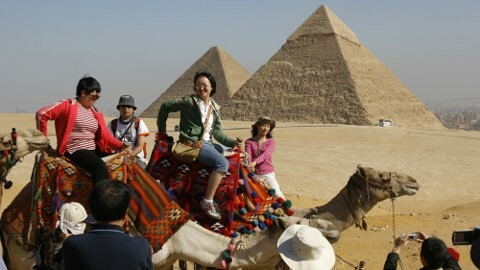 The Chinese have quite quickly helped diversify Egypt’s economy. In 1999, there were only a few hundred but their numbers continue to grow as the two countries build stronger economic ties. Some who started out as small traders are now successful business owners, like restaurant owner Po Wein Zhoun. Po cleverly opened a Chinese restaurant when she realized there was a growing demand for it. “I realized many Chinese in Egypt have problems finding Chinese food … So I opened a small Chinese restaurant six years ago. After two years, the restaurant started becoming successful. For a year and a half, I bought this restaurant from another Chinese,” says Po, who is married to an Egyptian. Business is the main but attraction for Chinese who come to Egypt; but some are also drawn to the country’s ancient heritage, like blogger Ali who studied Arabic and Egyptian history back in China. Fascinated, “I read an essay about Egypt and its pyramids and loved it. It’s about [the] mystery of the pyramids going back thousands of years. No one knows how they were actually built,” says Ali. For some, their love of Egypt becomes profound, forming friendships that touch them and make them want to stay permanently. 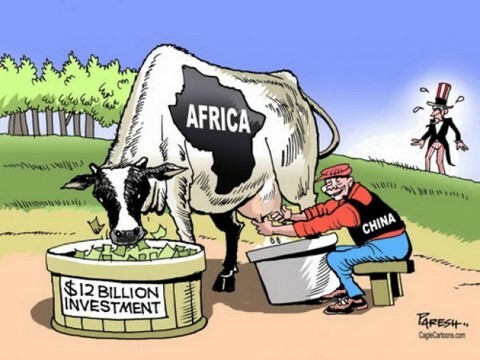 WATCH: King Cobra and the Dragon: As China increases its economic ties in Africa, has the continent entered a new era of colonialism? 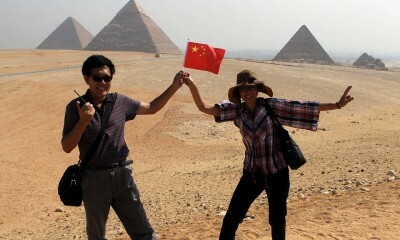 Chinese businessman Saleh Machyanj has been in Egypt since the 1990s. The Chinese want peace and stability in Egypt and across the region, for business and personal reasons. Many investors withdrew after the 2011 Arab Spring revolution – but today, China and Egypt are redoubling efforts to strengthen their trade relationship. The Egyptian trade minister recently said he expects China to emerge as Egypt’s fastest growing investment partner in the coming years. If projects like the new administrative capital, and its rail link, worth billions of dollars, materialize, commercial ties between the two countries will continue to grow, as will the Chinese community in Egypt.